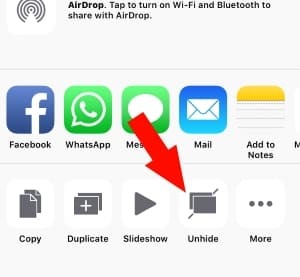 Upon using our various smartphones like the iPhone 7 and 7 plus, there are things you want to keep private or would like to hide, for example some of your personal photos and videos on your iPhone/ iPad and iPod touch using built-in hide/ Unhide feature. According to recent reports, after iPhone 7 went on sale, the New iPhone 7 and iPhone 7 plus users tend to take more photos on their new device than on the earlier iPhone models, this is as a result of the iPhone 7’s capability to capture great quality photos/ Video in every camera shot you take with it. On Apple devices, this feature to hide or unhide photos is not very common, we are aware most of the users know and need this because they need password protection for the hidden photos on their iPhones. 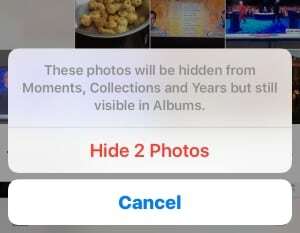 If you want to instantly hide and set your privacy on captured photo on iPhone we have a tendency to use this feature. So, we will now find out how to hide Photos and Videos on iPhone 7, iPhone 7 plus. 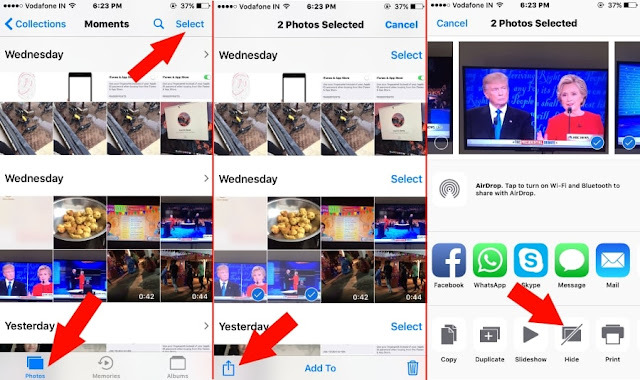 Below are the steps that will guide you on how to hide/unhide single or multiple photos and videos on iPhone 7 and 7 plus, quickly by using a photo app. 1: Open photo app on iPhone 7/ iPhone 7 plus. 2: tap on photos from below tab in Photo app. From top right corner of the screen tap on “Select” option. opt for images that you wish to hide. Yes, we can choose multiple pictures right away by sliding finger on image shifting it lift up. Else individual pictures we can select by tap on it individually. 3: From Bottom tab, tap on share icon. Next, from Sharing popup choose “Hide” option (See image below). 1: Head to the photo app on iPhone/ iPad. tap on “Album” from below tab. 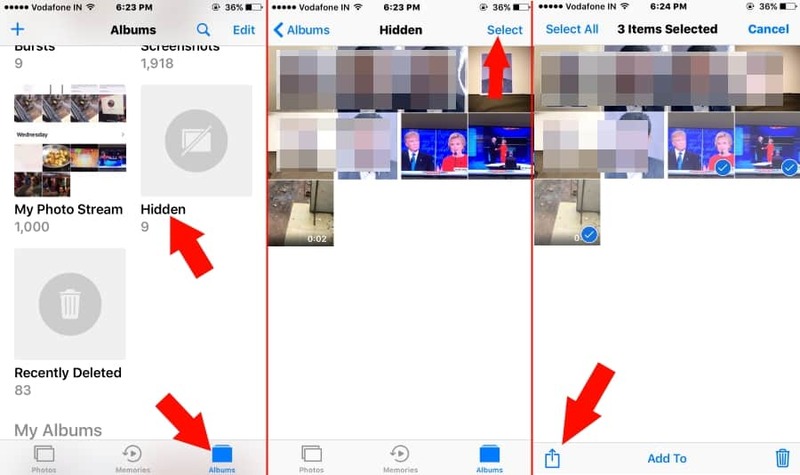 2: Separate folder for recently hidden photos and video saved into Hidden album is there. Tap on it. 4: tap on share icon, now click on Unhide. 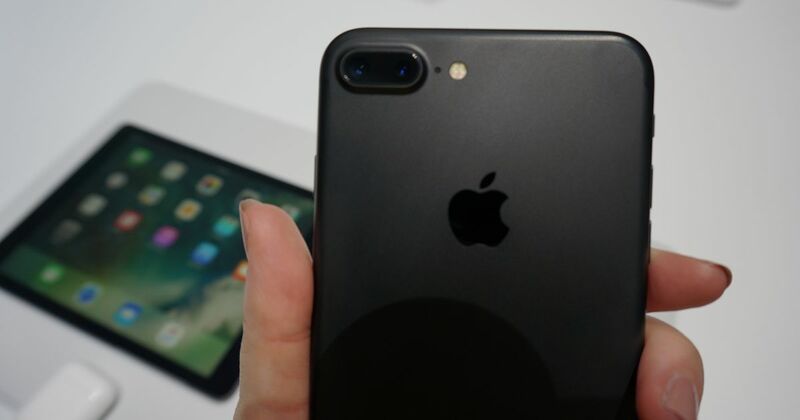 You can tell us the comment section if this worked for you, perhaps you have any alternatives of Hiding Photos and Videos on iPhone 7 plus or iPhone 7 with iOS 10? Pls tell us and don’t forget to hit our share buttons.